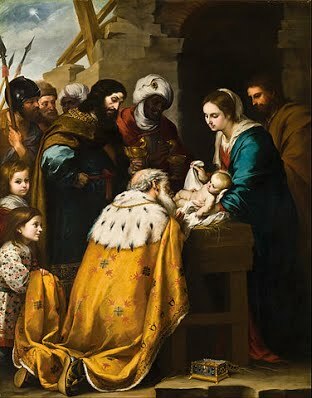 Epiphany of the Lord - Solemnity - My Catholic Life! The Feast of the Epiphany has traditionally been considered more theologically important than almost any other Feast Day, including Christmas. The early Christians had only Scripture, not the wealth of tradition we have today, to guide them in marking the great events of the life of Christ. So Holy Week and Easter, the Baptism of the Lord, Pentecost, and Epiphany jumped off the pages of Scripture as great events which merited celebration. These few dates became fixed points on the calendar and were later surrounded over the centuries with numerous other feasts and saints’ days. Two lessons from the visit of the Magi are worth considering. The first is that the wise mens’ gifts were given after Christmas. Many Catholic cultures preserve the ancient tradition of giving gifts on the Epiphany, not on Christmas itself. This tradition separates the birth of Christ from gift giving. When these two things—the birth of Christ and the giving of gifts—are collapsed into the same day, it causes some confusion of priorities, and the birth of Christ never wins. Waiting to exchange gifts until January sixth lets the Child God have the stage to Himself for a day. It makes people, especially children, wait, a modern day rarity in the Western world. Gift giving postponed until January sixth makes for a long, leisurely Christmas season and has the benefit of tradition and good theology as well. Another great lesson from the Magi is more theological—that a true religion must be true for everyone, not just for some people. Truth is not geographical or confined to borders. Truth by its nature conquers untruth. The Magi are the first non Jews, or Gentiles, to worship Christ. They tell us that the mission field of Christ is the whole world, not just the Holy Land. The Church is forever bound, then, to teach, preach, and sanctify the world over. The Magi crack everything open. The true God and His Church must light a fire in Chinese souls, Arab souls, African souls, and South American souls. This may take until the end of time, but Christianity has time on its side. The Magi give personal testimony to the universality of the Church, one of its four marks. 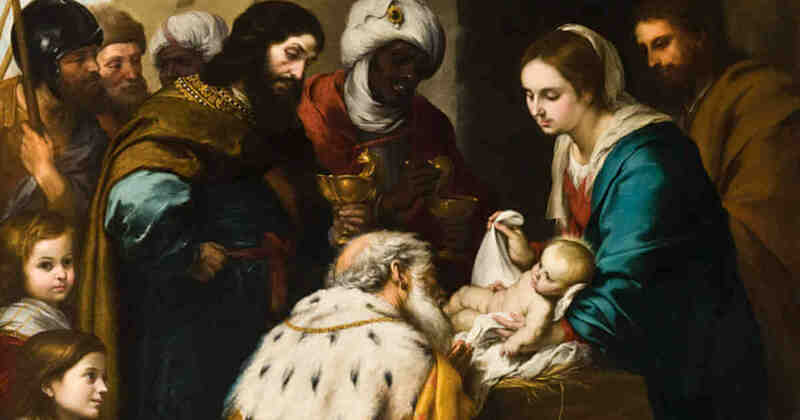 The Epiphany is the start of the multi-cultural, multi-lingual, multi-ethnic, and faith-united society the Catholic Church envisions as the only source of true human unity. Catholicism started multiculturalism and diversity without sacrificing unity and truth. Balthasar, Caspar, and Melchior, your minds were prepared to receive a greater truth. Let us see in you an example of holy curiosity, of pilgrimage by light to light. When you discovered your treasure, you laid your gifts in homage. May our search also find. May our pilgrimage also end in truth followed by love.